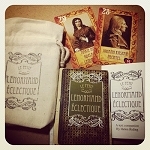 We are delighted to offer these rare and Out Of Print decks! While all of them have been opened (they were purchased as review copies), they are unused—either examined for review, or still in their original shrink wrap, as noted in the item description. If you've been looking for a long-sought object of desire, this may be the place to find it!